Rock-Solid Reliability with Positronic Connectors » HHP Associates, Inc.
Positronic builds high reliability power and signal connectors, and their true calling is to provide certainty. 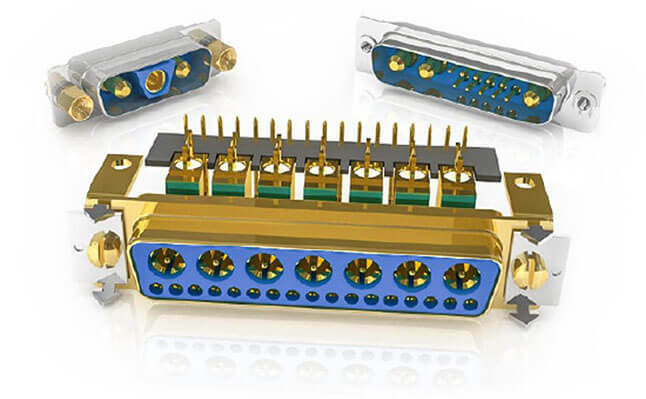 Connectors may be a small portion in a large design project, but when you need rock solid, mission-critical performance, they’ve got you covered! Positronic is a global manufacturer of electronic connectors and build-to-print cable assemblies for use in various applications related to military, space, commercial aerospace, medical, industrial, test, and rail among others. Key products include high power, D-sub, rectangular, modular and circular connectors. Many parts are offered off-the-shelf for immediate shipment using the company’s e-commerce partner, PosiShop.com. Features include options for mixed density, blind mating, optical, waterproof (IP67), hermetic, thermocouple, spaceflight, mil-spec, solder/wire/press-fit terminations and various accessories. Connector types include options for free cable, PCB mount and panel mount. We are honored to serve as a manufacturer’s rep for Positronic.